Over the last decade there has been plenty of talk about the uses and benefits of using UAVs (more widely known as drones) within various commercial sectors. Before we delve into the plethora of possibilities for using this paradigm shifting technology, it is important to understand the differences between some terms that are used within this space. The military were originally the first to utilise pilotless airframes. This is where the term “drone” comes from. A drone is an unmanned aircraft (or ship) capable of autonomously navigating without human input. These drones generally conducted reconnaissance or bombing missions, however, today it seems this term has now become a blanket description for what we now see being used for commercial and retail applications. Towards the mid 1980s the term UAV emerged. This is an acronym for unmanned aircraft (or aerial) vehicle. A UAV is a little more of a generalised term. It refers to not only a drone but also a remotely piloted vehicle, the difference being a pilot (on the ground) controlling the aircraft remotely as opposed to a fully autonomous drone. Over the years, advances in the technology available to us as consumers has advanced and become so much more widely available. As a result newer terms have been created to differentiate between different applications. UAS is one such term and is an acronym for unmanned aerial system. UAS is a term that applies to not only the RPA (remotely piloted aircraft) but also the ground station part of the operation. This term was then further elaborated on to form RPAS or remotely piloted aircraft system. Generally speaking, RPAS is a term that is given to an aircraft, pilot on the ground and any other equipment being used, i.e. a camera for imaging or long range radio often used for aerial surveying. So now that we understand what we are actually talking about, how can we utilise and benefit from these machines within our businesses? Once upon a time, conventional surveying measurements of stockpile volumes was a somewhat precarious task. It meant climbing over the pile with GPS equipment and taking coordinates from several locations. This method was far from accurate nor was it an efficient use of a surveyors time. In addition to this the safety aspect was far from ideal. This method usually meant gathering data over the course of a few days. Then it was a matter of crunching numbers to come up with a final figure and then compiling the report. In many cases, this process could take up to a week or more. Now with the use of aerial surveying using drones, this process can be completed in a matter of hours. Once the flight plan has been created, the task is completed autonomously from take-off to landing via autopilot controlling software running from a tablet or laptop. The images are take autonomously via the same software and stored on an SD card housed on the drone. These images are then downloaded and analysed by state of the art imaging software to produce point clouds. 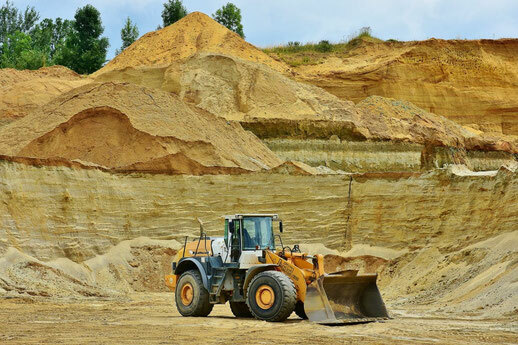 Stockpile volume measurements can then be derived using this software with the click of a mouse. All in a fraction of the time of conventional methods. One other such use for drones within mining is the ability for us to map any given area. 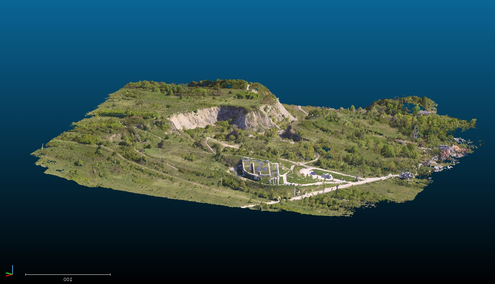 Open cut mines are continually changing and the use of drones to take aerial images to create maps, 3D models, digital terrain maps (DTM) and digital surface models (DSM) has changed the way mines monitor their operations. These derivatives can be particularly useful pre and post blasting ensuring the objectives were completed. In addition to the comparison, it also gives a completely up to date model allowing personnel to track change over time. Images taken by drones also allow assessment of infrastructure. Road maintenance requirements, water drainage, storm damage and environmental protection applications are all possible using drones for aerial surveying. Undoubtedly, one of the most useful applications for drones within the mining sector is for asset inspection. This, historically is a dangerous, time consuming and expensive task, often requiring specially trained people suspended at heights to visually inspect equipment. Drones have eliminated almost completely these hazards and made the task more efficient, both in time and financially. Under some circumstances, safety is further increased with the drones take-off and landing phases being conducted off site in a separate location. Using high definition lenses these airborne cameras can photograph equipment such as a nut or bolt from up to 50 metres away and still produce a resolution that shows the tiniest details. Technology is ever changing and improving in the aerial surveying realm. Drones are becoming quieter, faster, smarter and carrying cameras that produce ultra high definition images and videos. Applications within mining are limited only by your imagination. In any case, drones are changing the way mines operate. 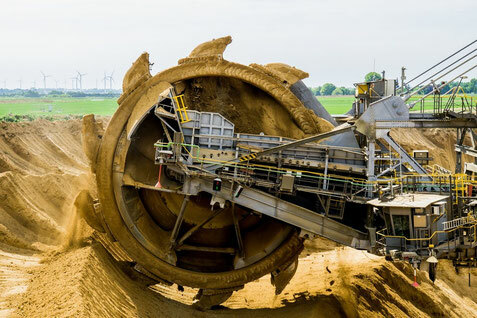 They are saving companies massive amounts of money and time all while increasing safety and producing accurate high quality outputs that are hurling mines into the age of innovation. 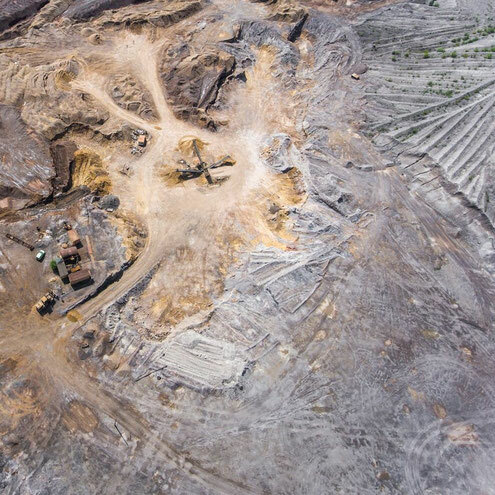 Find out how UAS IMAGERY can capture, process and analyse data captured from a drone surveying your mine site.